With the resignation of Michael Nazir-Ali as Bishop of Rochester last year, the Anglican and Catholic Churches in Britain no longer have a single bishop who grasps the extent of the threat of Islam to civil society. 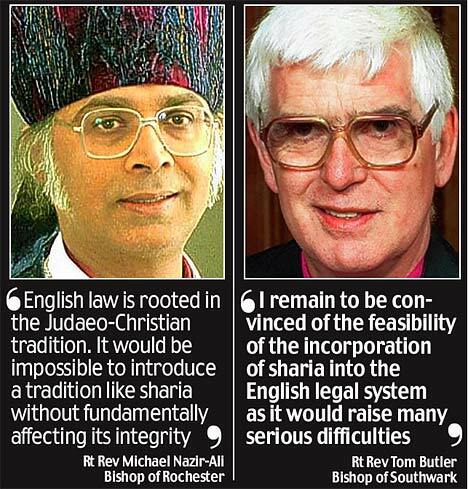 NAZIR-ALI was the only incumbent bishop who not only understood the true incompatibility of Sharia law with our ancient common law, but also followed in great detail the incremental changes to the public sector in order to accommodate Islamic religious demands. It’s no coincidence that the only Church of England bishop who understood the full implications of domestic Sharia was also the only one properly alarmed by it. Nor is it surprising that he found it impossible to exercise his office under the leadership of an Archbishop of Canterbury who, shamefully, wishes to afford greater state recognition to Sharia. How depressing. But the Muslim Council of Britain is pleased, that’s for sure, as are the Church liberals. 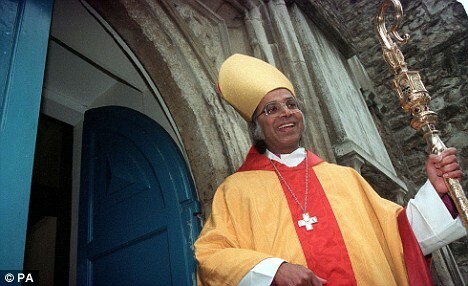 The Bishop of Rochester Michael Nazir-Ali – the Church’s only Asian diocesan bishop – is planning to devote much of his time to helping persecuted Christians in Muslim countries such as Pakistan and Iran. The 59-year-old bishop – who has been in the post for 15 years and could have stayed there until he was 70 – has never been afraid of controversy. Multi-culturalism, secularism and liberal theology have all been among his targets. Last year he faced death threats for writing in a Sunday newspaper that Islamic extremists were creating ‘no-go’ areas for non-Muslims in parts of Britain. The Bishop, his wife Valerie and their two sons were placed under police protection. 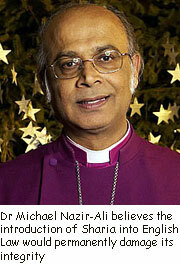 Earlier this year, he told The Mail on Sunday that the Church of England was not doing enough to convert Muslims. The Bishop said in an article in The Sunday Telegraph that Islamic extremists had created no-go areas across Britain where it was too dangerous for non-Muslims to enter. He said that people of a different race or faith faced physical attack if they lived or worked in communities that were dominated by a strict Muslim ideology.